Maddie Ziegler, Nia Sioux, Ally Maki & More Celebrate Jonathan Bennett’s New Cookbook | Ally Maki, Cassie Scerbo, Jake T. Austin, Jonathan Bennett, Maddie Ziegler, Nia Sioux, Rydel Lynch, Travis Atreo | Just Jared Jr.
Maddie Ziegler surrounds Jonathan Bennett in support at the launch of his new book, the “Burn Cook Book” held at Cattle & Claw at Sofitel LA in Los Angeles on Wednesday afternoon (September 26). 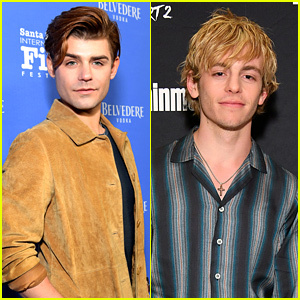 The 15-year-old dancer and actress met up with longtime pal Nia Sioux, as well as Rydel Lynch and Cassie Scerbo inside the bash. Cloak and Dagger‘s Ally Maki, her musician boyfriend, Travis Atreo, and Jake T. Austin were also see at the launch event. 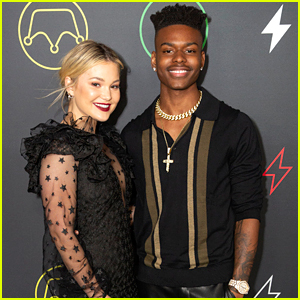 Olivia Holt & Aubrey Joseph Rep 'Cloak & Dagger' During Comic-Con Day 2! Olivia Holt & Aubrey Joseph Announce 'Cloak & Dagger' Season 2 at Comic-Con! 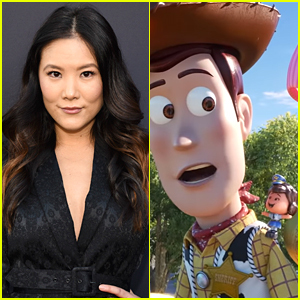 Ally Maki Makes Debut On 'Marvel's Cloak & Dagger' Tonight! Lucy Hale & Riley Smith Celebrate Max Mara's Face of the Future 2018!